The ECS card means you can prove your identity, your qualifications and your occupation. One has to present his ECS card whenever he needs access to a construction site. Because construction sites are classed among the most dangerous places to work on, all employers ask for a proof that you are a competent person with proper training and qualifications. This is where the Electrotechnical Certification Scheme (ECS) comes in to place. Please note that the ECS is affiliated to the Construction Skills Certification Scheme (CSCS). 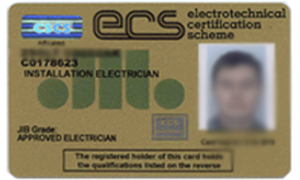 So when your employer asks for your CSCS card, you will have to present your ECS card because it is the one relevant to the electrical industry. As you can see in the document above, the cheapest option is the Standard Online Application, where an initial card is £48.00 and the renewal/replacement card is £36.00. The ECS card is valid for 3 years, after which you will need to renew your card for a smaller fee. The easiest way to apply for an ECS card is online. 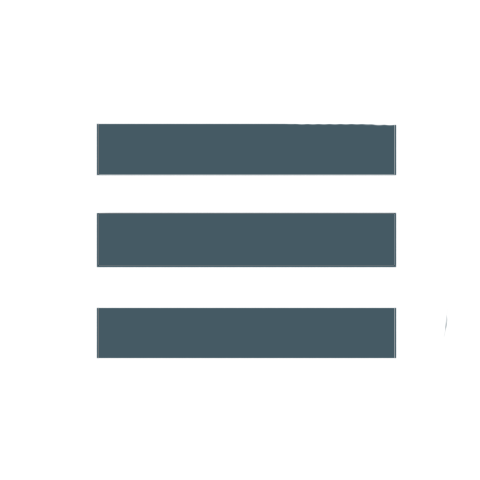 Go to MyECS, set up an account and follow the step-by-step instructions. You will have to provide additional documents such as proof of identity and qualifications. Please note applying for an ECS card and applying for the ECS H&S assessment is two different things! You need to pass the ECS Health & Safety Assessment first! During the application process, you will get a chance to apply for a JIB grade. The JIB Grading System is accessible to anyone who has the appropriate electrical qualifications such as the NVQ Level 3 and relevant practical experience. You do not have to be employed by a JIB member company to obtain a JIB grade. If you wish to apply for a JIB grade, you must complete section 5 and ask your employer to complete section 9 of the application form. 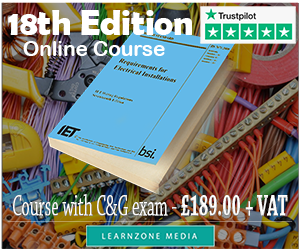 There are other grades as well, such as Labourer or Technician, but to you as an electrician, the above grades are relevant. You can find out more about JIB grades here on the JIB website. -	Gold and platinum ECS cards - which identify the holders as qualified to NVQ Level 3 or above, within their occupation, such as Electrical Site Manager, Contracts Manager or Installation Electrician. The individual's occupation will determine the title of the ECS card (i.e. ECS Installation Electrician). For the full list of card titles visit this page on the ECS website. -	Conditional Electrician ECS card - is for individuals employed by a JIB member company who do not meet the requirements of a gold or platinum card. This card is only valid for three years during which the individual is expected to undertake all the training necessary to obtain a gold or platinum card. This card cannot be renewed. On the following pages you will find out about the ECS exam and how to prepare for it with the help of our ECS Test Simulator.